A new research project aiming to strengthen the voices of those living on Wabanaki territory has recently launched at the University of New Brunswick. 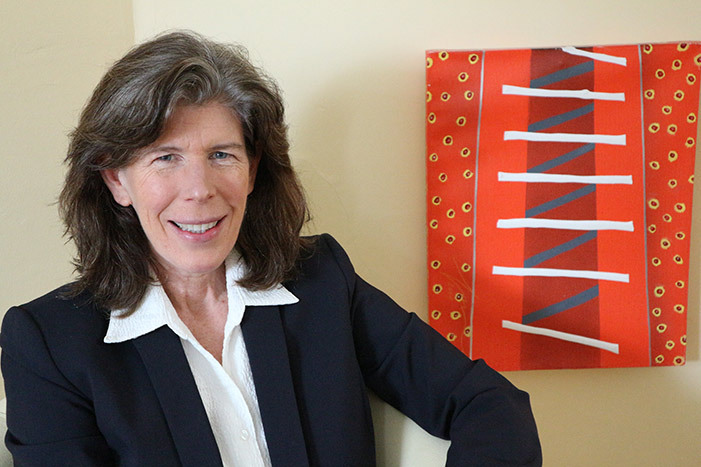 Dr. Susan O'Donnell, researcher and adjunct professor with the department of sociology at UNB, has received $525,000 for her research project, Rural Action and Voices for the Environment (RAVEN). The RAVEN team is composed of UNB faculty and staff from the departments of sociology, anthropology, interdisciplinary studies and the faculties of computer science and education. The Mi'kmaq-Wolastoqey Centre and the Centre for Enhanced Teaching & Learning (CETL) also work on the project. The initiative will create and promote a dialogue with Indigenous land and water protectors, small woodlot owners, sustainable forestry and fishing activists, activists opposing exploitive resource extraction, advocates for regenerative farming and promoters of clean and renewable energy. RAVEN officially launched on Sept. 13 at UNB and was followed by a rural issues workshop highlighting the project's key principles and actions. The project will advocate, support and assist rural communities' sustainability by working with local leaders to produce and distribute alternative digital media. "RAVEN is building relationships between people and organizations passionate about rural communities and the environment in New Brunswick," says Dr. O'Donnell. "We will work with rural champions to help make their voices and messages stronger and more effective. We will improve skills in digital media production for rural champions, students and researchers." The project is currently funded until 2022. The Social Sciences and Humanities Research Council of Canada (SSHRC) is contributing $359,000. The New Brunswick Innovation Foundation (NBIF) is providing $116,000 and Frictive Pictures will donate $50,000 in-kind. RAVEN partners with the New Brunswick Media Co-op (NBMC) and the Joint Economic Development Initiative (JEDI). "The NBMC looks forward to its collaboration with this project, which will certainly have a great impact on the production and dissemination of news stories on and about rural communities in our province," says Sophie M. Lavoie of the NBMC Editorial Board. "The goal is to create and share media relating to those residing in rural communities," says Lynn Poole-Hughes, CEO of JEDI. "The content developed aims to shed light on the challenges, successes and everyday life of those whose voices are not typically heard. Some of the voices will be Indigenous Peoples. JEDI is proud to partner on and support this initiative. We are certain that Dr. O'Donnell will do great work in realizing her project's goals." RAVEN is guided by the Indigenous principle of protecting lives and land for seven generations. "It's important to remember that we are all Treaty people," says Dr. O'Donnell. "Our hope is that our project will help Indigenous and non-Indigenous people to learn from each other about respecting the environment and building sustainable rural communities."